Today’s ride: The Ride to See is a charity event that benefits vision research and programs for the blind. 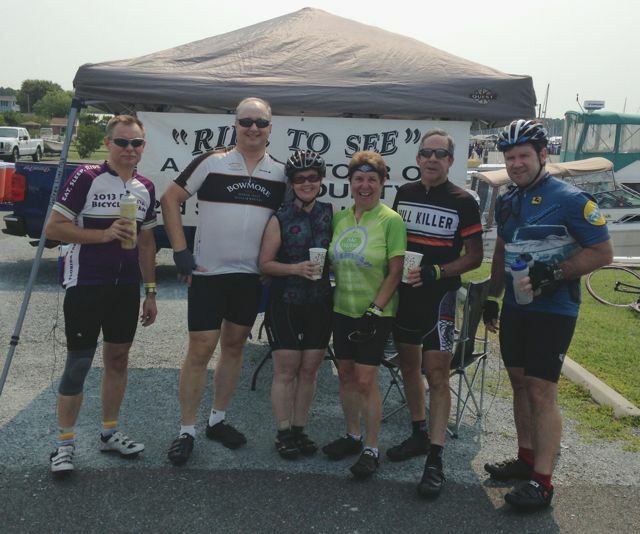 The rides start from Galena Maryland on the Eastern Shore. 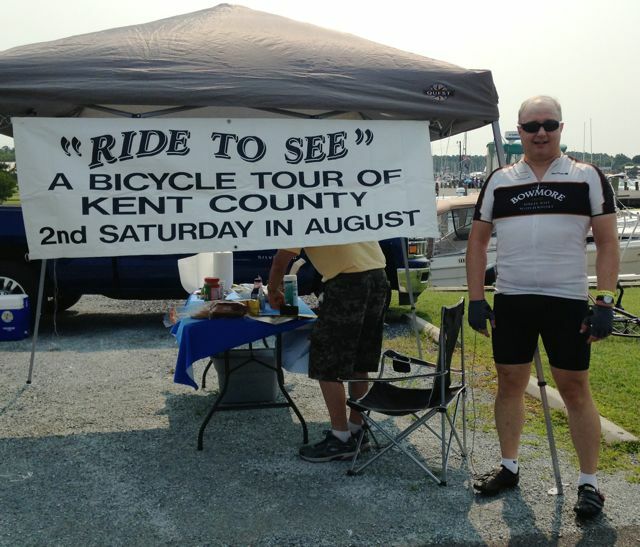 The ride is held on the second saturday in August. This can be a hot ride, so hydration is vital. While the Eastern Shore is generally flat, the Ride to See is not a flat ride. It rolls through farmland, past the Chesapeake bay, by creeks and rivers, and through the scenic towns of Rock Hall and Chestertown. Rides range from 15 miles to a full century. The shorter rides would be good training rides for longer rides later in the year. The Experience: We started out just before 7am, and the day started out cool. This was the coolest day I’ve experienced in the half dozen times I’ve ridden the Ride to See. Six of us rode together. We set a good pace. The roads were good and before the day heated up we were well on our way. The first two rest stops were a riverside park and a school, and we shared the pace well among ourselves. The third rest stop was in Rock Hall, and every year the ride coincides with a festival in Rock Hall where the people dress as pirates and wenches. We rode through town past people dressed as pirates, and paused to watch a gymnast giving an aerial show from a ring suspended several feet above the ground. It was a colorful and enjoyable experience. The locals really put on a show, and many were very convincing pirates. We left Rock Hall as the day began to heat up. Our next stop was in Chestertown, and by the time we reached it, the heat of the day was upon us. The final 30 miles were hot, but we were well hydrated and we kept up a good pace. In the end we rode strong to the finish, but just as I entered the parking lot I slid out on some gravel and crashed! The result was a few scrapes and a sprained finger, but more embarrassment than pain! Over all, it was a great ride. Conditions were very good this year, and with the exception of the crash, it was one of the best summer rides I’ve had! Selections from my mental iPod during the ride: “Happy Hour” by The Housemartins, and “Ticket to Ride” by the Beatles. Stats: 100 Miles ridden, and a few scrapes at the finish, but a strong ride and a good experience. Our team for Ride to See: from left to right: Ron Tripp, myself, Rita Spence, Carol Linden, John Koehnlein, and Tony Lehr. 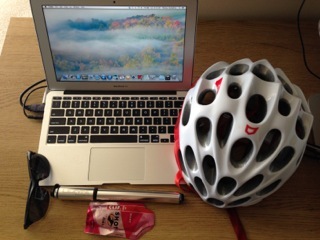 This entry was posted in Cycling on August 10, 2014 by kitefencer.